HomeLine 3 Update: Paddle to Protect Youth Complete 250-Mile Journey; Petition Needs Your Signature; The Big Sandy Lake “Tragedy”; Pipeline Work in Minnesota? 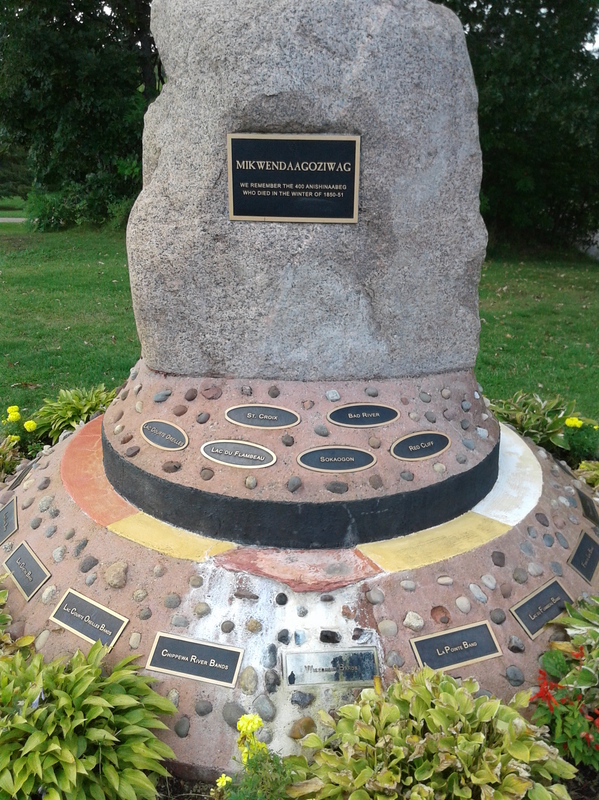 Marker remembering the 400 Anishinaabe who died at Sandy Lake in 1850. Choosing Big Sandy Lake to end the canoe trip was significant. It is the site of a major betrayal of the Anishinaabe (Ojibwe) people by the U.S. government. This betrayal is commonly referred to as the Big Sandy Lake Tragedy, which is a misnomer. “Tragedy” is the politically correct term to make this more digestible for most state residents. Tragedy gives the sense that what happened was an accident or the result of some natural catastrophe. This was a crime. The tragedy unfolded when U.S. government officials attempted to illegally relocated a number of Ojibwe [Anishinaabe] Bands from their homes in Wisconsin and Upper Michigan to northern Minnesota. In the late autumn of 1850, thousands of Ojibwes had assembled at Big Sandy Lake for their annual treaty annuity payments. As the Ojibwe waited nearly six weeks for their payments, they suffered from illness, hunger and exposure. Many died from dysentery and measles. The promised annuities were never fully paid, and after the last of the meager provision were distributed on December 2, the Ojibwes began an arduous journey home. Harsh winter conditions had already set in and many more died along the way. Illegally pushing people off their land. Failing to live up to promises to provide basic sustenance. Giving people spoiled meat. This is more than a tragedy. There must be a more honest name for this event, such as the Big Sandy Lake Extermination. Big Sandy Lake is one more symbol of the broken promises the U.S. government made to Native peoples. Approving Line 3 would be another broken promise. The Anishinaabeg have treaty rights to hunt, fish, and gather along the proposed Line 3 pipeline route. They have not been adequately consulted in the process. A pipeline spill could do incredible damage to wild rice areas. The Line 3 final Environmental Impact Statement issued by the Department of Commerce evades taking a position on whether Line 3 violates treaty rights, showing a lack of responsibility and courage on the part of the state. Has Enbridge Started Pipeline Prep in Minnesota? Garrett Lampson has posted videos on Facebook (here, here, and here) suggesting that Enbridge already is clearing right-of-way near Mud Lake in Minnesota in preparation for the new Line 3 pipeline, even though it has not been approved yet. On the video, the narrator says it is on the right-of-way for a power line, but it also is on the proposed route of the Line 3 pipeline. Culverts and a wide clearing suggests this is more than just a right-of-way clearing for a power line, the narrator said. This is one worth following. 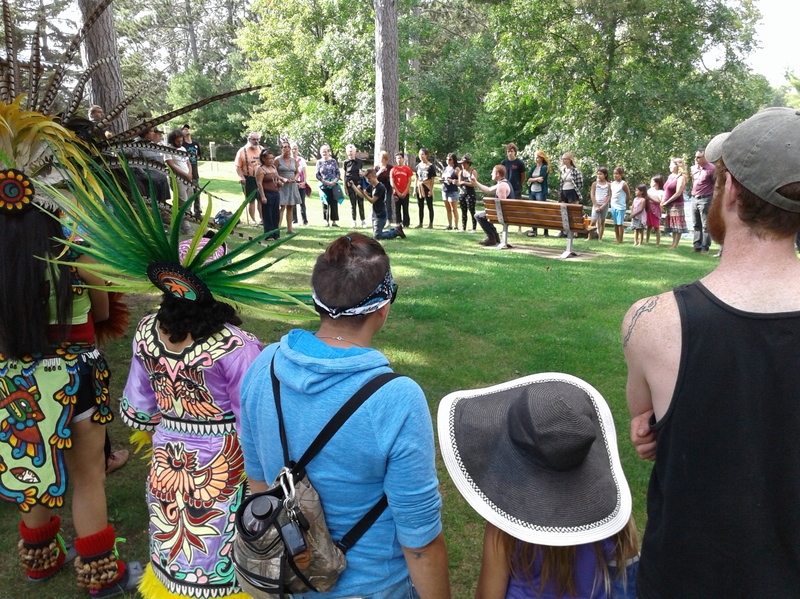 ← Guest Blog: Kitchen Volunteers Needed for the Mendota Mdewakaton Pow Wow — Support Healing, Resistance and Love!